That all these minis are Reaper Bones might just be a lie. Sorry about the bad pun there. 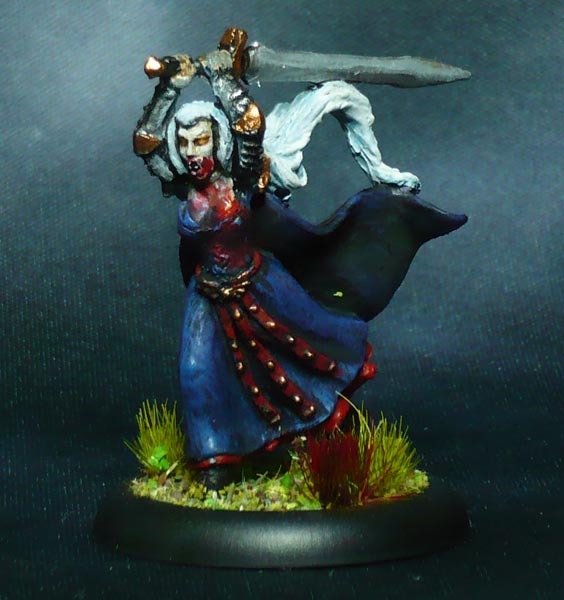 The Vampiress Lady Illona by Mantic, a character from the cover art of the first edition rule book for Kings of War. I got this with the undead army I bought in the first KoW kickstarter ages ago. 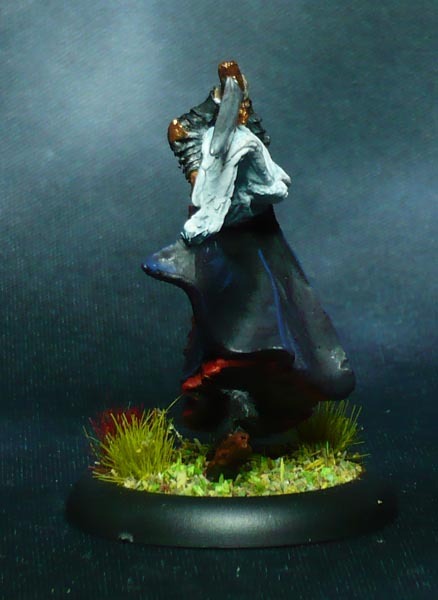 This is one of those minis that has just been standing around on the shelf half-painted for ages and ages, with several different colour schemes tried and abandoned before I settled on something a bit lackluster just to get it off the shelf. 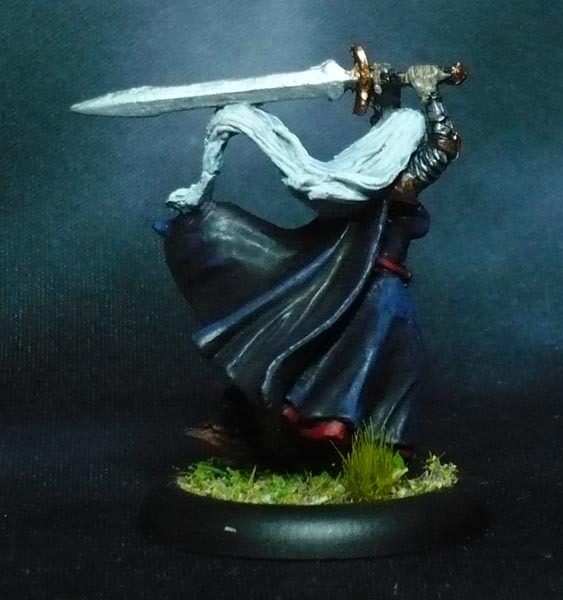 I painted the sword a brilliant silver because I see this vamp being a bit reckless and needing something special to give her that controlling edge in an undead army that also includes a pack of werewolves. The mini is single piece restic. 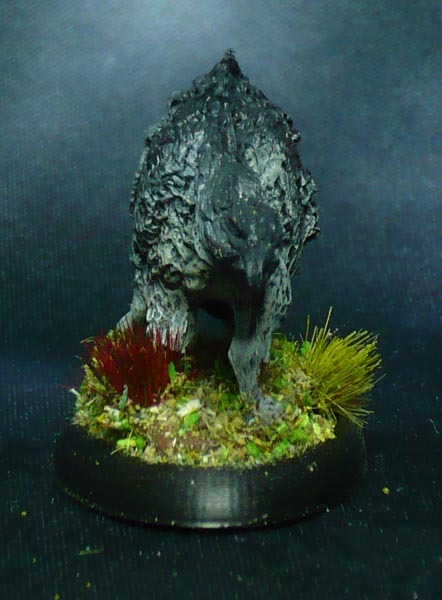 30mm base. 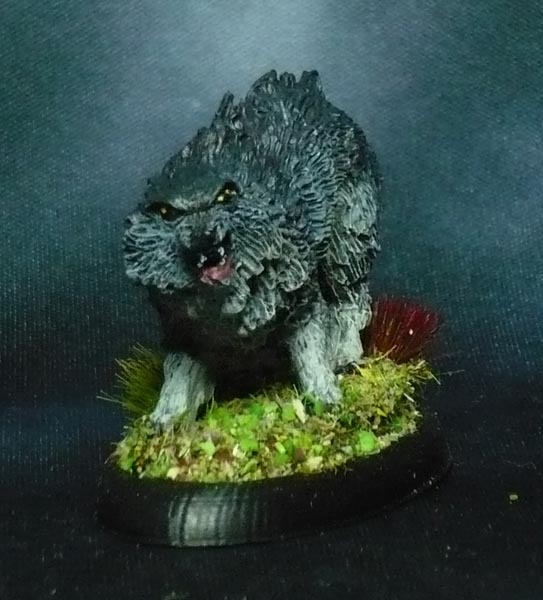 This is the 77437 Winter Wolf from the third Reaper Bones kickstarter. 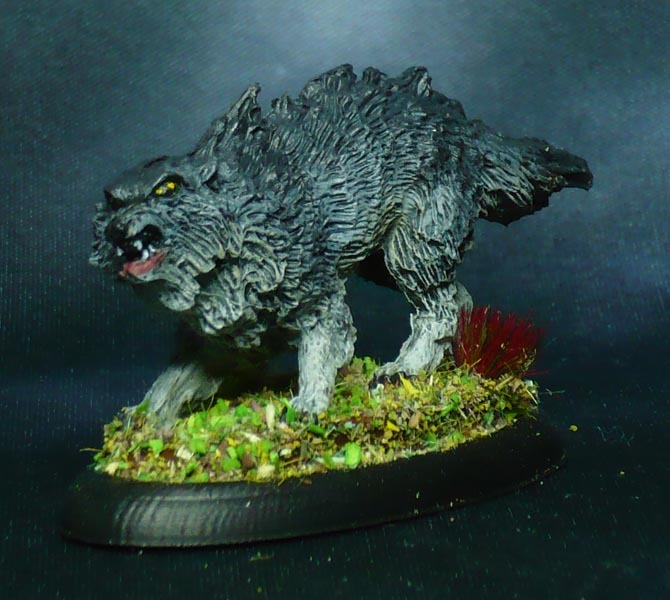 And about the size of a horse, so I think of it as a werewolf’s full wolf form. 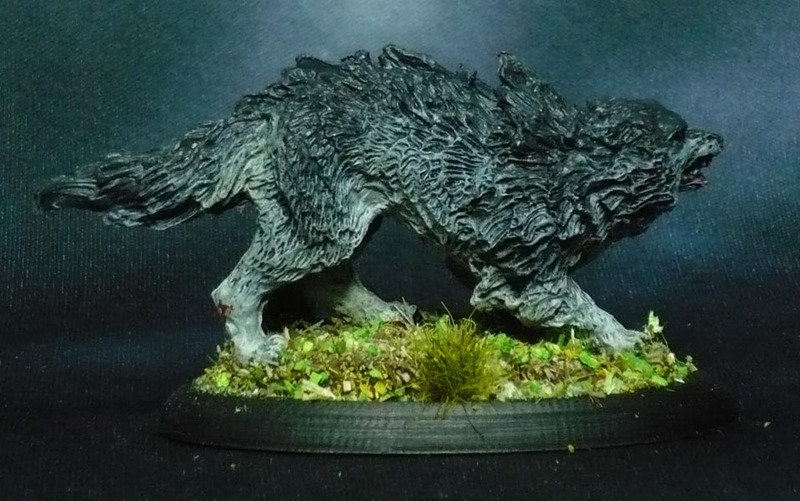 Or a Dire Wolf as needs be. 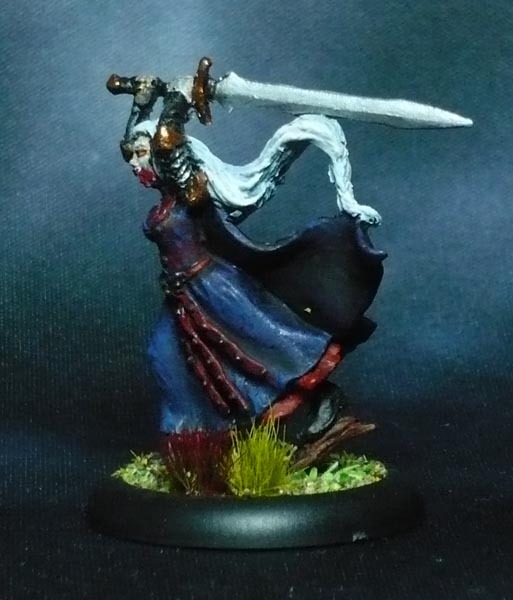 Miniature sculpted by Sandra Garrity. 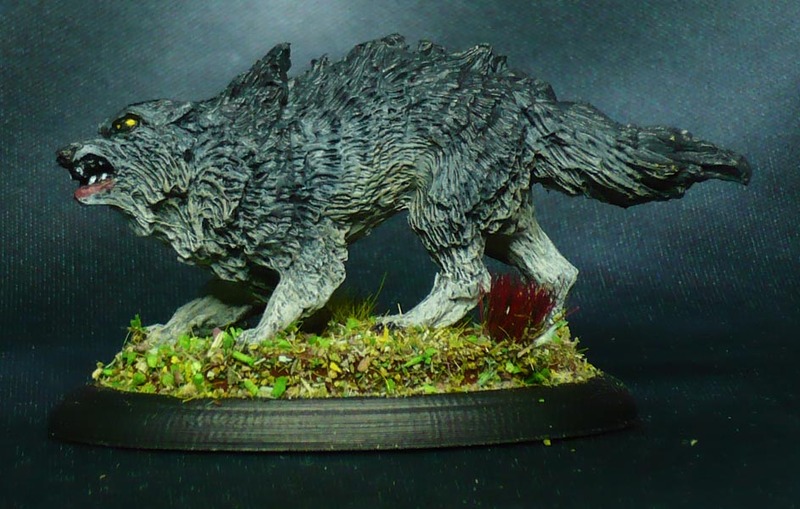 Bespoke 50x25mm 3D printed base. 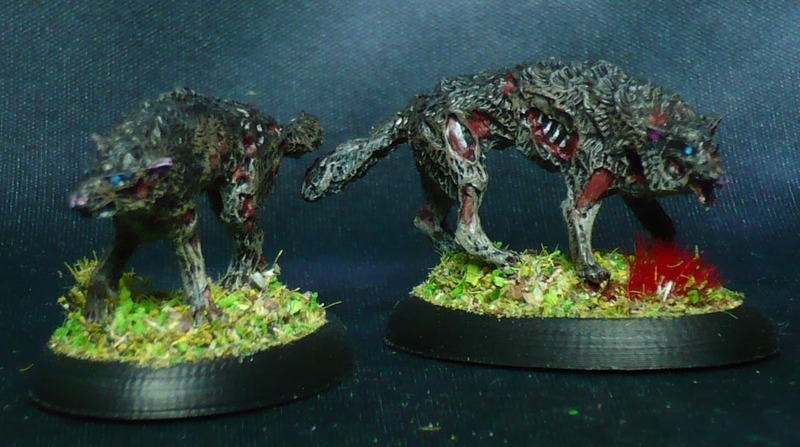 Two pairs of 77533 Dread Wolves from the Graveyard Expansion from the Bones 3 KS. One pair brown and one pair grey. Ended up rather samey…Too dark perhaps. Bespoke 35x25mm 3D printed bases. Painted miniatures so far this year: 354 / 365 -just 11 to go! NextThe Others 7 Sins: Gluttony.